After years with co-superintendents, the Montebello Unified School District has returned to its previous administrative structure with just one superintendent at the helm. 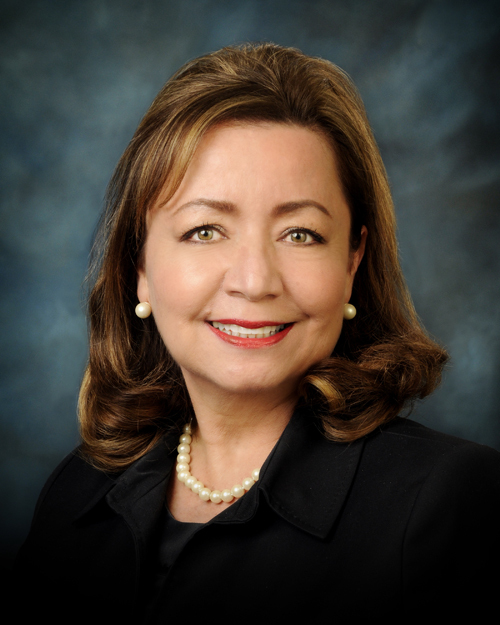 The school board voted June 25 to promote Susanna Contreras-Smith to the top post of Superintendent of Schools effective July 1. Contreras-Smith has served as superintendent of education since 2013; Co-Superintendent Cleve Pell will now serve as the District’s new chief financial and operations officer. MUSD created the dual superintendent positions in 2011 both as a cost saving measure and to give the school board more time to conduct a national search when Edward Velazquez left to become superintendent of the Lynwood School District. Long-time district administrators Cleve Pell and Robert Henke were made official co-superintendents for a term that was to run through August 2012. Each was given a $25,000 pay boost, the combined amount substantially less than what a new superintendent would have cost MUSD. “Our District is under great leadership and in qualified hands with both Cleve Pell and Robert Henke. Between these two; they have nearly 80 years of experience working within the Montebello Unified School District,” said then-MUSD Board President, David Vela. He added the District would save “about $15,000 a month by tapping into the talent we already have” while the nationwide search for a permanent superintendent is underway. But the position was not filled until now. Contreras-Smith started her career in education more than 40 years ago at MUSD as an instructional aid, going on to become a teacher, principal and take on other leadership roles. She returned to MUSD in 2012 as associate superintendent of accountability and compliance, later replacing Henke as co-superintendent when he retired. “With more than 40 years of experience – both in the classroom and as an administrator – I cannot think of anyone more capable and well suited for this position,” Pell said. With the changes to district budgets with the LCAP (Local Control Funding and Accountability Plan) and LCFF (Local Control Funding Formula), Pell’s new position was created to shift his focus on the district’s long term fiscal planning, according to district officials. Born and raised in Boyle Heights Contreras-Smith previously told EGP that despite having opportunities elsewhere she decided to return to MUSD to give back to the community where she grew up. “I will continue to work collaboratively with parents, teachers, staff and our community partners to ensure all students have access to a stellar 21st century education,” Contreras-Smith said.